The practice of martial arts can awaken your mind, enliven your soul and leave your body healthier and shapelier than ever. It can also leave your muscles and joints sore, tender and aching. You know the importance of proper rest, nutrition and hydration to help those muscles heal and gain strength, but what role does massage play in your recovery? With the right percussion massager, you could recover faster with greater comfort. What Is a Percussion Massager? A percussion massager is a handheld device that applies pulses of concentrated pressure deep into your muscle tissue. This form of deep-tissue massage can work knots and tension out of the muscles while improving blood flow and quickly enhancing range of motion. When used properly, a percussion massager can shorten your recovery time while relieving some of the pain, tension and soreness that comes naturally from intense martial arts workouts. The rapid pulsations delivered from a percussion massager will soften stiff muscle tissue, and you can target extremely sore muscles by working the surrounding tissue. Eventually, softening and soothing the surrounding tissue will have a relaxing, soothing impact on the sore, overworked muscle. Many professionals are using percussion massagers to minimize pain and discomfort for patients, but you can buy your own percussion massager to achieve the same results in the dojo, at the gym or while recovering at home. Percussion massagers hammer down on the surface of your body, sending pulses of pressure deep into your muscle tissue. This mimics the pressure that you would receive from the kneading hands of a professional deep-tissue massage therapist. This type of massage is ideal for recovery after an intense workout because of the deep muscle penetration. Vibration massagers are more superficial because they apply vibrations to the surface of the skin. Those vibrations don't carry deep into the tissue, so they're more like a light massage designed to soothe your mind and help you overcome stress. They can also help relieve pain and general discomfort. There is a place for deep-tissue percussion massage and vibration therapy in the life of anyone who pushes through intense workouts. One study published in the Journal of Clinical and Diagnostic Research in 2014 found that vibration therapy and massage are both effective at preventing delay-onset muscle soreness. Massage was proven more effective at restoring strength in the muscles, and you can do that at home with a percussion therapy massager. Various types of massage were used in studies showing these results, but deep-tissue massage delivered from a percussion device may allow you to achieve similar results on your own. Some of these benefits were achieved with consistent use of massage over a period of days, weeks or months. Below is our personalized review of the 4 massagers. We have also created a handy comparison chart for you to compare the different massagers if you do not want to take the time to compare and contrast the 4 different percussion massager guns. Since the original publication of this article, many other percussive massage guns have flooded the market. However, we have not had a chance to thoroughly examine them yet. Therefore, we have not included them in our review. The four below are the most thoroughly examined. The Theragun G2Pro percussion massager applies 80 pounds of pressure with 2,400 revolutions per minute. This is adequate power to dig deep into muscles to work out the kinks, relieve tension and even break apart scar tissue. It's used by athletes and people trying to get in shape as well as gym owners and massage therapists. You can switch between four attachments of different sizes and shapes, each targeting muscles of different sizes. One attachment is designed for bony areas or sensitive spots, so it delivers a gentler touch. This is a lightweight massager that weighs less than three pounds, so most users find it comfortable to hold for long massage session. You can switch the arm between four positions to easily reach all areas of the body, but there is only one speed. That speed is quite aggressive, so some users find it uncomfortable on the neck and other sensitive areas. 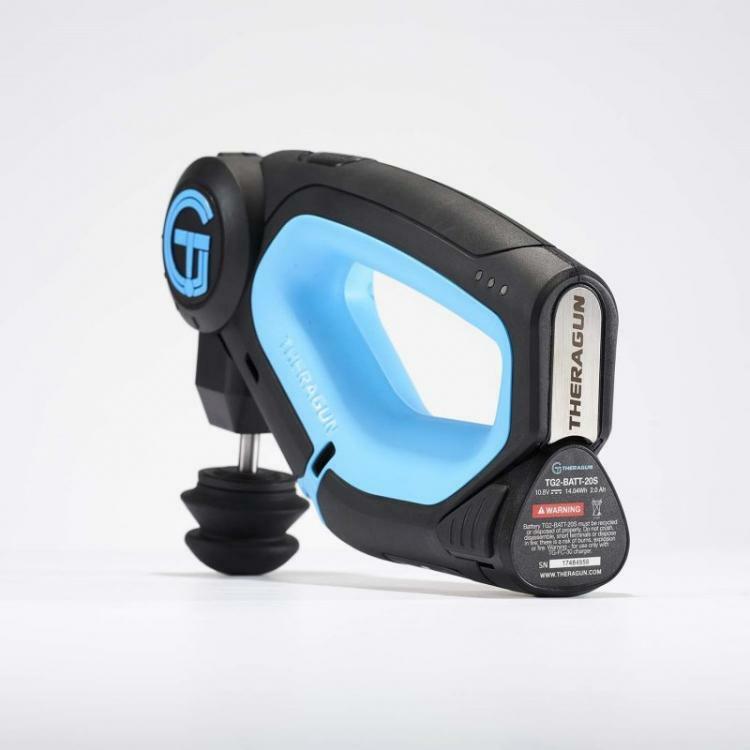 Since our initial review, Theragun has come out with the G3Pro. The latest one has added a second speed of 1,750 revolutions per minute and has extended its battery life to 75 minutes per battery (G3Pro comes with two batteries). The newer model is made to operate with much less sound also. However, with the addition of these features, it is also $200 more expensive than the G2Pro. We feel that this is the best out of the 4 and thus it is the editor's choice. Many people who find the Theragun G2 Pro too loud and powerful appreciate that the Hypervolt vibrating massager is quieter, faster and more adjustable. The arm percuss up to 3,200 times per minute and delivers a powerful force to release pressure deep in your muscles. You can switch between three speed settings and four head attachments, which makes it easy to adjust the shape and size of the head as well as the amount of force delivered to each area of your body. 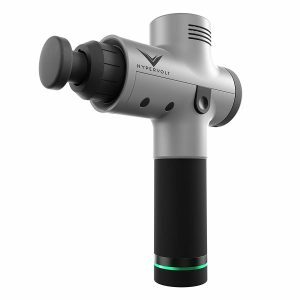 If you want to use a percussion massager on your neck or other sensitive areas, this adjustability gives the Hypervolt massager an advantage over single-speed competitors. The Hypervolt massager weighs less than three pounds and features an ergonomic design that makes it easy to grip for long massage sessions. It comes with one rechargeable lithium-ion battery that can last up to three hours per charge. We feel that the combination of the ability to adjust speeds, the 3,600 maximum percussions/revolutions per minute, and the long 3-hour battery life makes it the best in its class. If you want to enjoy the benefits of deep-tissue massage while sticking to a budget, the TimTam Power Massager is slightly less expensive than other highly recommended options. It has gotten some noise in the martial arts world because Firas Zahabi talked about it. The reduced price is likely due to limited power and accessories, but it's still a quality product for entry-level users. You'll receive one massage head in the box, and you can buy others separately. The included head is a round bulb that is suitable for most muscle groups. If you find other percussion massagers too powerful for tender areas of the body, you may appreciate that this massager only goes up to 2,500 revolutions per minute. 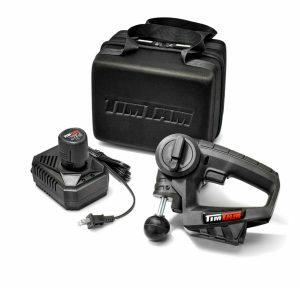 It has a single power setting and is easy to use right out of the box without reading pages of instructions. The arm rotates 90 degrees, giving you multiple positions to easily reach every area of the body. The massage heads go on easy and stay on securely due to a unique threaded shaft. If you look for products with solid reviews from other buyers, the Pleno M 3.0 power massager may meet your standards. It routine exceeds the expectation of buyers and receives five-star ratings from massage therapists as well as at-home users. This is likely due to the unique design that features six speed settings. This was the first percussion massager to offer six settings, and it gives you maximum flexibility when selecting the right amount of power for each part of your body. This is a big advantage if you want to use your massager on sensitive areas of the body that don't do well with excessive power. While the Pleno M 3.0 comes with four massage heads that are easy to switch on the arm, two of the heads are the standard ball of the same size. The massager weighs less than three pounds and features an adjustable arm that makes it easy to reach all areas of the body comfortably. It's also a bit cheaper than some competing massagers, so the power delivered for the price is quite impressive. 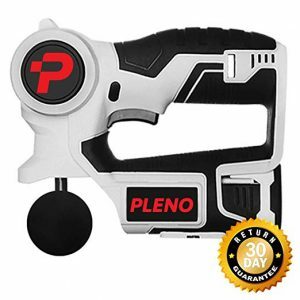 Pleno has come out with the new M 5.0 massager gun, which promises longer battery life and less noise. If you want to check out the M5, you can do so by clicking here. 7 of the Best Vibrating Foam Rollers (Updated 2018).